This is part 3 of 4. See part 2 here. 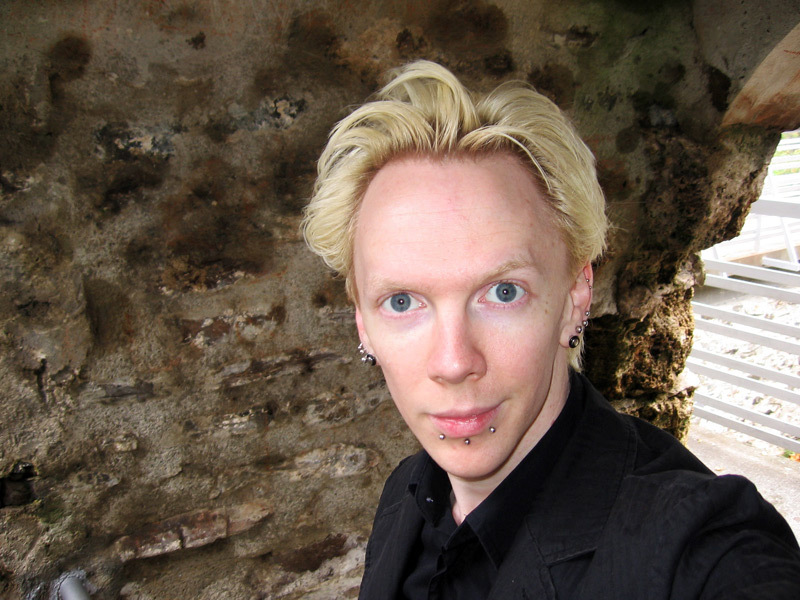 Here’s me actually in the archway of the tower. I sent my best friend Ben a text message from right here simply saying “I AM IN DRACULA’S FREAKING CASTLE,” and then I realized it was 6am at his place in Philadelphia; oops! A look at the castle wall from the far end. 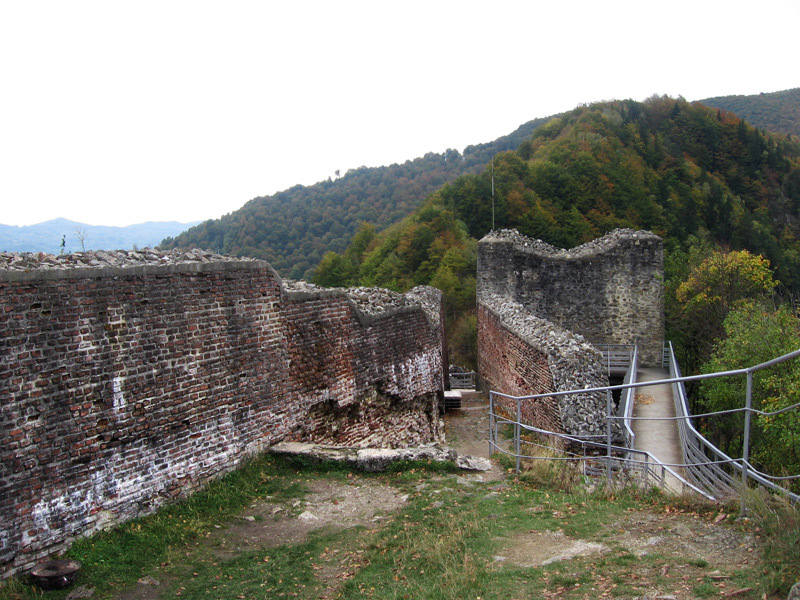 A little background about the place: Apparently there was already actually an ancient castle on this spot before Vlad arrived, but it was in ruins, and when he wanted his own place built, he thought this would be a good location. He’d imprisoned a large number of his political enemies and told them they had two years to build him a new castle here. If they succeeded, he’d let them go free, and if they failed, he’d kill them. The actually did it, but it’s assumed a lot of them died along the way from the hard work. It’s still pretty impressive to see that some parts of their labor are still standing after 500 years and an earthquake. Hey Manning! Thank you for the beautiful pictures! I will be traveling to Bubapest next month and that will be the closest I have ever been to Castle Paenari, which I have always dreamed of visiting. Not sure I will make it since I will only be there 3 days. 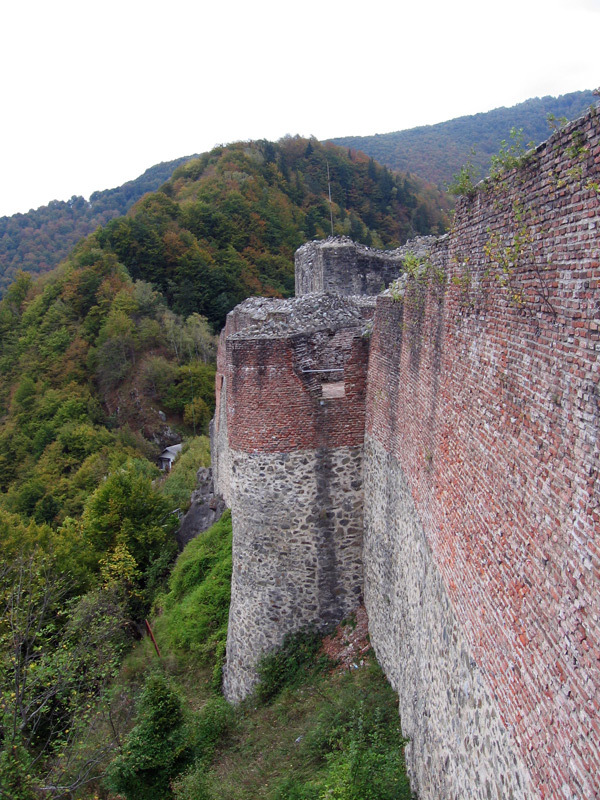 Anyway, regarding the red bricks, they are actually part of the original construction that Vlad did that were hand fired from the village below and were lighter and easier to take up the mountain than the heavy river rocks that make up the foundation of the castle. At least, from what Ive read, thats the case, so the red bricks have been as long as the rest of it from what I gather. Did you get any vibes from the place or was it just another one of Europe’s “pile of rocks”? Thanks again and take care. Good work. 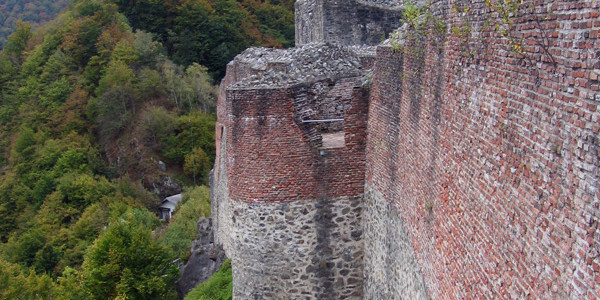 the crumbling bricks are 35 years old as before that when one visited-one could break one’s leg–thank you so much for the updated photos–before,the only living things at this castle,were the hand size spiders-yuh! the castle was there long before Vlad was born. at the easter feast of 1470, he invited his own men to a feast. when he questioned them about their involvement in his brother’s and father’s deaths and they refused to talk, he impaled the aged and weak. the rest he used to fortify Poenari. a lot of them were worked to death. but at the castle’s completion, anyone left alive, he impaled anyway.